A fight has brewed in the redistricting battle between federal judges who stepped in to redistrict boosting minority vote vs. local officials and Gov. Perry’s own redistricting. One thing is clear – Latinos once again are pawns of a political game. The Supreme Court on Friday evening agreed to hear a tangle of lawsuits over how elections in Texas next year for its state legislature and for Congress are to be conducted. 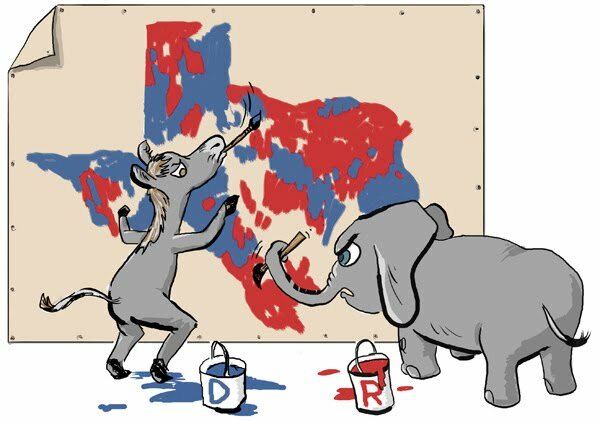 The court stayed orders from a special three-judge court in San Antonio, Texas, which had issued electoral maps late last month that seemed to help Democrats and Hispanic voters. The justices ordered the parties to file briefs on a brisk schedule, and they will hear arguments on Jan. 9. The Supreme Court must move quickly if next year’s primary and general elections are to proceed in an orderly way. Friday’s order did not say what election officials in Texas are meant to do in the meantime. Primaries are scheduled for March, and candidates have been filing under the court-drawn maps.